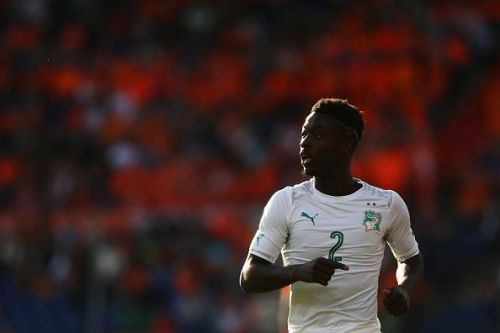 Lille's Nicolas Pepe is the hottest property in European football right now and is on the radar for several top clubs. Arsenal and Chelsea were the ones linked with him in January but now more clubs have joined in. TeleFoot are reporting that as many as SIX European giants are looking to sign him in the summer. The French publication claims that Bayern Munich, Barcelona, Manchester United and PSG have also joined in the race for the Arsenal and Chelsea target. They also report that Lille are looking for €80 million and above from any club looking to sign him. Pepe has taken Ligue 1 by storm this season and fans and pundits just can't stop talking about him. The Ivory Coast international has scored 16 goals and assisted 8 in 16 Ligue 1 games this season. Adding to that, he has scored thrice for his county in friendly matches and also one in Coupe de France. He's just 23-years-old and outruns the defenders with ease. The right-winger is seen by Chelsea as an ideal replacement for Willian and Pedro while Bayern Munich want him as a replacement for Arjen Robben. Manchester United have always been in the market for a ring-winger, just like Arsenal since the sale of Theo Walcott to Everton. Barcelona and PSG are keen on strengthening their wings and are looking to get him as well. They already have irreplaceable first-team right-wingers but are looking to sign him as a backup. TeleFoot is a reliable source for transfer news and rumours related to French players and clubs. They were among the first to report the Mbappe to PSG deal and also the shock bid by Bayern Munich to secure Benjamin Pavard for next season. Pepe will have a huge decision to make in the summer as there are way too many clubs interested in him. One thing for sure is that Lille will most certainly not be able to keep hold of him.